Vesuvius At Home: Hi ho, Bouguereau! I have been meaning to share these for a long time. 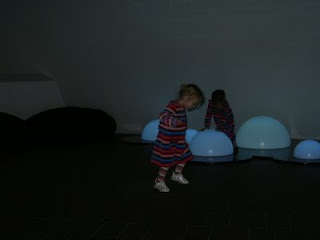 Papa and Grandma took Ayla and Indy to the art museum. 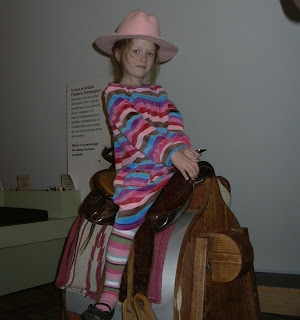 In Denver, at the art museum, you wear cowgirl hats and sit on saddles. (What do you mean, nobody rides saddles at the Met? You're missing out). Yes, the Louvre has the glass pyramid. But we've got bubbles!